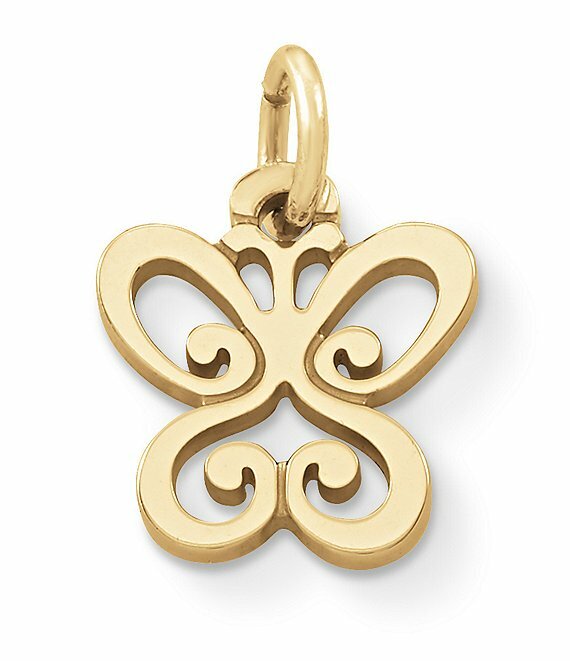 Symbolic of change, butterflies are often associated with the renewal brought forth by the arrival of spring. This open design gracefully celebrates life and the beauty of nature. Available in sterling silver or 14k gold.